The name Pulau Jerejak, was given by fisherman who lived on the island. Long before it gained its alias as the Alcatraz of Malaysia, because of the Jerejak Prison. This 362ha island is located between the Penang Main Island and Seberang Prai. It's an island rich with history, flora and fauna. This island though not as famous compared to other islands in Malaysia, has had its fair share of auspicious historical events. Francis Light, Founder of Penang was said to have arrives in Pula Jerejak in early 1786 before heading on to Penang. Jerejak made it's debut in colonial records when colonel Arthur Wellesly of Wellington, England, proposed that the island act as an alternative naval base to Fort Cornwallis in 1797. 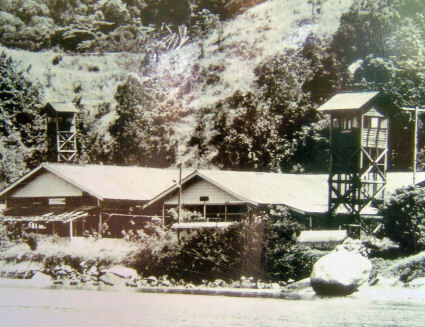 The military post in Jerejak was suppose to provide protection for the new town opposite Jerejak, which was to be called Jamestown, now known as Bayan Lepas. However a sudden outbreak of Malaria caused for a delay in plans. It is believed that the outbreak was a result of clearing the jungle. It was during this time that George Town emerged as a profitable port. Thus the turn Jerejak into a naval base was aborted. In order to stimulate the growth of Penang, Francis Light allowed immigrants to claim whatever they could clear thus causing Penang to be flooded with immigrants. As a precaution, these immigrants were first sent to Jerejak for health inspection. In the year 1910, Jerejak was made a health quarantine centre for immigrants planning to go to the main island. After passing the health check, they were sent to Penang to work. Later in the late 1930's, the British Empire built a hospital for patients with Tuberculosis that could house 150 patients at one time. This was located at the eastern part of the island. Jerejak saw military action during the World War II, when a German submarine attacked a Russian naval vessel. It is believed that Jerejak was the site for a German submarine base from June 1943 to March 1944. In the book entitled History of the USA Naval Operations in World War Two, S.E. Morison wrote that German U-boats sunk about 18 ships in the Indian Ocean. A ceremonial cemetery dedicated to the Russian soldiers still remains on the island, where however, no records indicate that actual bodies were buried at that site. The Jerejak Rehabilitation Centre began operating from 12 June 1969 to August 1993 with its batch of inmates. This first batch consisted of those detained during the 13th May 1969 race riots. In it's one and only internal riot incident in 1981, The Jerejak Rehabilitation Centre was rampaged when about 100 inmates rioted in the prison, destroying several buildings. The riot was caused by dissatisfaction over decision to lengthen the service period of inmates. The following years, saw an upsurge in drug related convictions that resulted in the highest number of detainees in Jerejak, 982 to be exact. As a security measure, fisherman from nearby island were given strict instructions to keep a distance of 200 metres from the beach area of Jerejak. However, 7 inmates still managed to plan a getaway. The escapees were inmates who worked outside the prison area and were nearly finishing their sentences. The first escape incident in January 1988, saw 4 inmates 'leaving' the island while the second incident in May 1988 saw 3 inmates flee. The exact escape routes of these inmates still remains a mystery. In it's course of closing down the prison, 900 detainees were transferred to prisons in Johor. The first transfer involved 100 detainees whom were sent to Muar Prison, Johor. The following transfers were in groups of about 60 detainees and were all stationed at the Simpang Ranggam Prison, Johor. The last group left on 13 August 1993. Nowadays there's a beautiful resort on the island. 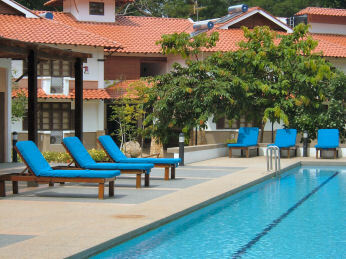 It's called "Jerejak Resort & Spa". It's very quiet and you can relax all day. 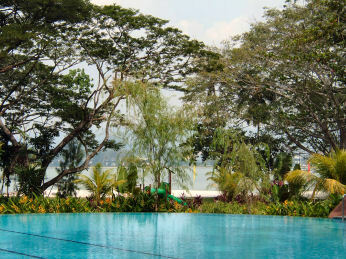 In the daytime you can go visit the main island of Penang or you can do outdoor activities on Jerejak. In the evening you can't do much on Pulau Jerejak, because there a no roads or villages. There's just the resort. All that's left is the the island of Penang. 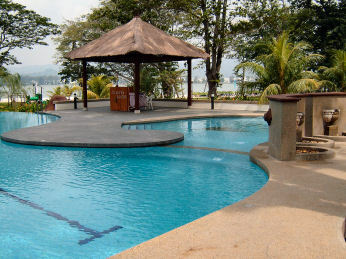 In the daytime adventure village of the resort is where you go for outdoor action on Pulau Jerejak. Take it to the limits with abseiling, rock climbing, mountain biking or take to nature with fishing, jungle trekking or camping under the stars. The recreational facilities such as rock and wall climbing, low ropes obstacles and archery are ideally situated next to the Adventure Village for easy access. Jerejak, an island covered with thick coastal forest ageing approximately 4,000 years hosts about 210 species and 71 families of plants. Many types of plant communities can be found here, the main ones are Dipterocarp, Mangrove, Revine Coastel and Weedy species. Dipterocarp is a timber species found on hilly areas of the island. It usually forms a high proportion of emergent and main canopy strata of the forest. A dipterocarp forest is richly diversified and contains timber such as Meranti (Shorea spp. ), Mersawa (Anisoptera spp.) and Keruing (Dipterocarpus ssp.) which are highly priced. There are also Mangrove Swamps in the area. The largest is located near the prison building at the north side of the island. The mangrove swamps are named so because of the mangrove trees, which dominate these wetlands. These trees are tolerant of brackish water and saltier coastal conditions an they are usually surrounded by watery wilderness. This area also provides habitat and breeding ground to organisms such as crabs and jellyfish. 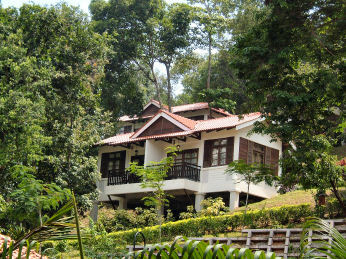 The coastal plant community also inhabits the Jerejak tropical forest. It acts as a barrier between an interior plant community and an exposed beach. These coastal plant species are closely related to the soil texture and effect from the breeze. Among the forest seedlings are Mengkunyit and Bintagor. Eurycoma Longifolia or commonly known as Tongkat Ali. Tongkat Ali is a medical plant which increases strength and energy. Besides the wide range of flora available on the island, there are also a variety of fauna species on Jerejak. Among the 39 animal species here are White Bellied Sea Eagles. Monitor Lizards an Long Tailed Macaques. The White Bellied Sea Eagle, also known as Haliaectus Leucogaster is black in colour and white spot underneath, thus the name white bellied. It's major resting site is at the southern tip of the island. This is an ideal place for bird watching as this is also the perching area for many other bird species. You can rest assured that there are no endangered species on the island. However, quite a number of animals here are protected under the Malaysia Wildlife Act 1972. Based on the study done by USM on the Flora and Fauna of Jerejak, the birds recorded during research were all protected under the act. The Long Tailed Macaque also inhabits Pulau Jerejak. They have long arms and short legs. They are usually born with black fur but eventually turn a yellowish greenish, reddish brownish shade as they mature. Long tailed macaques are diurnal (active during the day) and arboreal (tree-living) animals. They live in multi male and multi female groups. They tends to sleep on tree branches, so when you get into the jungle, look up and try to spot any of them 'hanging out'. Among the reptiles that live on the island are the monitor lizard and mangrove snakes. The monitor lizards are tropical reptiles. They do not divest themselves of their tails, like some other lizards. Once lost, the tail will not grow back. Monitor lizards swallow their prey whole. They are daytime lizards and actively search for food. They eat snails, grasshoppers, beetles, birds' eggs, crabs, fish and nestling birds. Among other animals that live around the mangrove area are the mangrove snakes. They can usually be seen basking on brakish water environments thus the name mangrove. They often hang over branches or banks and will drop into the water as an escape route at the slightest provocation. They will however, bite savagely if cornered or caught. Another species of reptiles that inhabits the island is the reticulated python. There are not many exotic fish in the Jerejak Sea. However, common fish such as Kerupa and Kembong inhabits it. Fish like Kerupa and Kembong are popular among fisherman nearby the island, as these fish are the types most commonly eaten by Malaysians. Another common fish species that we often hear of is the jelly fish. Jellyfish are eating animal that float in the sea. Their body is soft and long with stinging poisonous tentacles that they usually use to catch fish. Venom is sent through stinging cell called nematocysts.